Unless you’ve got a green thumb and a big backyard, you’re probably eager for farmers to load shelves with fresh local produce in fall. Whether shopping a Farmers’ Market or Supermarket, you’re probably there with basket in hand. You look for colorful potatoes ranging from purple to orange, curly kale and crunchy carrots for salad, robust pumpkins for pie, and juicy apples and pears picked the previous day. Meal ideas will be inspired by the best offerings. Pick of the crop? To help you, we scoured the harvest season’s fruits and vegetables for those with the biggest nutritional net gain and healthiest bang for your buck. 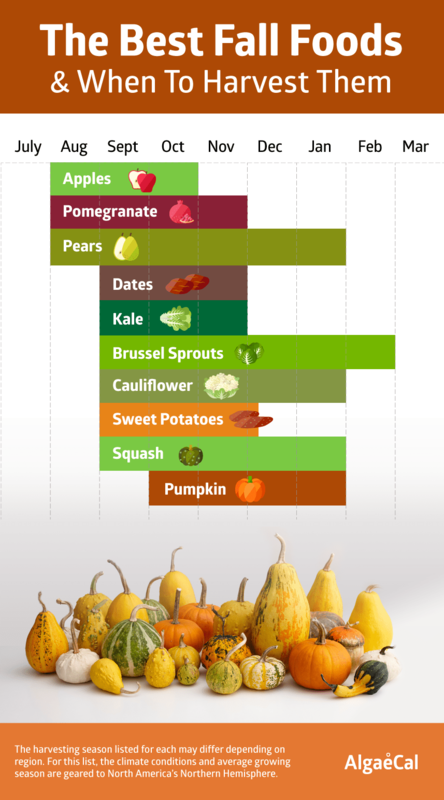 From field to fork, the following guide offers the best foods to eat this fall. These top fall foods have been chosen not just because they are garden favorites, and are easily accessible for most areas of North America. They’re also listed for their supreme healing properties. They include: 1. Apples 2. Brussels sprouts 3. Cauliflower 4. Dates 5. Kale 6. Pears 7. Pomegranate 8. Pumpkin 9. Squash 10. Sweet Potatoes. Why eat local and in-season? It tastes better; it is better for you; it is often less expensive; it is ecologically better for the planet; it supports your neighbors and local economy, and it is definitely fresher. If you don’t eat fruit and veggies soon after they’ve been harvested, you may be losing out on their goodness. After picking, fruits and vegetables remain alive and offer “living energy” as we eat them. But this life energy also contributes to spoilage as live enzymes break down the cell structure. This leads to loss of flavor and nutrients. The longer produce is stored before being eaten, the less likely it is to keep its nutrients. Have you ever picked your own fruits and veggies? If so, you know there’s no better taste than a freshly picked, ripe tomato or strawberry. In fact, Team AlgaeCal went and visited a local organic farm back in August and we had the opportunity to pick strawberries, blackberries and yellow grape tomatoes. The consensus was this: there’s nothing better than picking your own produce and eating it right away! And while we don’t always have the luxury of same-day produce, choosing in-season produce is a step in the right direction. Produce that is ripe when picked has reached its highest vitamin levels. It has been proven to be more nutrient-dense than those fruits and vegetables picked unripe to survive shipping. You see, vitamins are not stable substances, and are susceptible to heat, light, and oxygen. Vitamin C is especially unstable, with typically a 50% reduction within 7 days. Even the Harvard Medical School Center for Health acknowledges that food transported long distances is not as nutritious as food grown locally. Farmers’ Markets and retailers that sell local goods increase the chances of nutritional diversity from varying soils and crop rotation. And they decrease the amount of handling, and less handling means a reduced rate of bruising and decay. Harvest Season: August to November. Apples are one of the most cultivated fruits in the world – 2,500 varieties are grown in the US alone! The old Welsh proverb “an apple a day keeps the doctor away” is being proven true since apples are extremely rich in illness-preventing nutrients, flavonoids, and dietary fiber. Much of its goodness is in the peel so never discard it. Apple fiber can help lower bad cholesterol, important for heart and stroke prevention. Apples’ abundant phytonutrients reduce risks of cancer, heart disease, and dementia. Antioxidants in apples called quercetin may help reduce risks of neurodegenerative disorders like Alzheimer’s. Quercetin is also an effective inhibitor of histamine, meaning it stops the running nose and teary eyes from seasonal allergies. Some varieties are more nutritious than others; Granny Smiths, for example, have the most beneficial effect on good gut bacteria important for diabetes prevention. This salad recipe offers a refreshingly new way to eat apples: Apple Beet Salad. Harvest Season: September to March. Brussels sprouts, named because they were cultivated in Belgium in the 16th century, are a must-have fall food not just for their traditional banquet image. This cruciferous vegetables’ health benefits are due to its abundant vitamins: one cup offers 243% of vitamin K needed per day, a vitamin difficult to get from most foods – and it fights inflammation! One cup also has 129% of your daily vitamin C, which is something that most don’t typically consider to be high in veggies. We all know that vitamin C is important to fend off flu by boosting the immune system, but it also prevents the formation of histamine responsible for mucus in seasonal allergies. Brussels sprouts have more detoxifying, cancer-protecting glucosinolates than any other cruciferous vegetable, even broccoli. Almost 100 studies in the research database at the National Library of Medicine in Washington focus on Brussels sprouts’ abilities to reduce cancer. They do this by detoxifying the body, supporting immunity with antioxidants, and acting as an anti-inflammatory. The phytochemicals are better used by the body when Brussels sprouts have been cooked. Don’t wait for a family get-together to try this Brussels sprouts recipe: Balsamic Brussels Sprouts and Bacon. Harvest season: (6-8 weeks before fall frost) September to February. Cauliflower may be the most versatile vegetable to add to meals. It is steamed, roasted, sautéed or eaten raw. It can replace grains and legumes in recipes: it makes a low-cal-low-carb “rice” when florets are chopped into tiny couscous-sized pieces and roasted, and makes a creamy hummus replacement when steamed, whipped and combined with lemon juice, garlic, and tahini. Cauliflower contains almost every vitamin and mineral that you need. It is one of the best sources of the nutrient choline that many people are deficient in, and it’s not found in many foods. Choline plays a major role in maintaining cells: making DNA and supporting metabolism. Like its cruciferous cousin, brussels sprouts, cauliflower contains antioxidants that slow the growth of cancer cells and carotenoids that fight heart disease and allergy or cold symptoms. 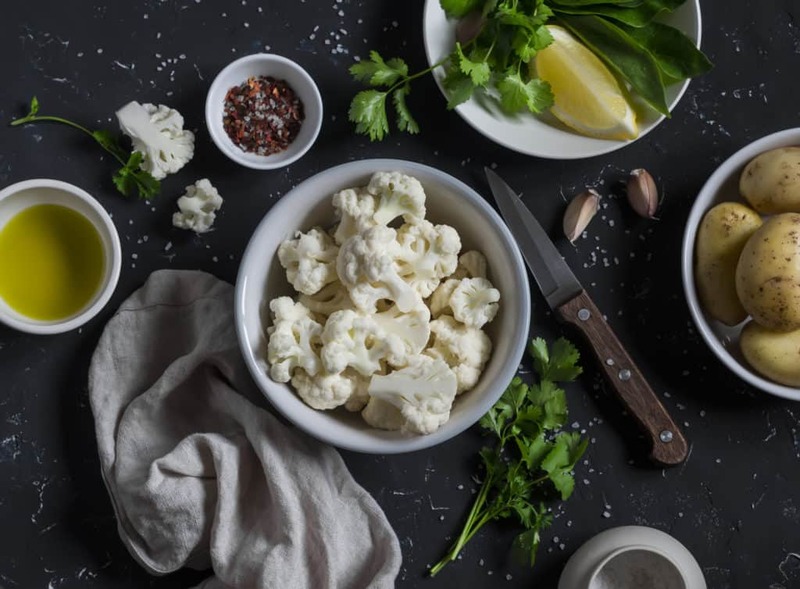 Try this cauliflower recipe that brings out its flavor: Roasted Cauliflower and Lemon. Harvest season: September to December. Dates were probably the oldest seed planted by humans, known to be harvested in the first century AD. Although they’re eaten fresh in Eastern countries, when dried, their nutrients are super condensed and easily digested, allowing your body to make full use of them. Dietary fiber in dates aids colon elimination and prevents bad cholesterol absorption. Their high iron maintains hemoglobin in red blood cells. Their high potassium helps control your blood pressure. And their lutein is vital for eyes and their calcium and magnesium are good for bones. Medjools, the queen of dates, offer the sweetest and creamiest texture, but are high in calories and sugar: one Medjool contains 66 calories and 16 grams of sugar. Dates make a healthy spread to replace jam or icing. DIY Date Spread: Simply combine 2 cups of dates with juice from ½ lemon, ½ cup ground walnuts, dashes of cinnamon and cloves, and ½ cup water. Bring to a boil, reduce heat and simmer for 20 minutes. Let cool, and puree in a blender until smooth. Then, simply spread on crackers or use as a sweet fruit dip! Kale has been publicized as one of the healthiest plant foods in existence. Is it worthy of the hype? Yes. Kale, called a brassica vegetable, has proven medicinal properties. Kale is loaded with antioxidants including cancer-fighting quercetin. Quercetin also acts as a natural anti-viral compound, which can help prevent cold and flu symptoms. Kale has age-defying polyphenols. 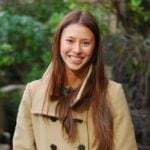 And it offers heart-promoting bile acid sequestrants. 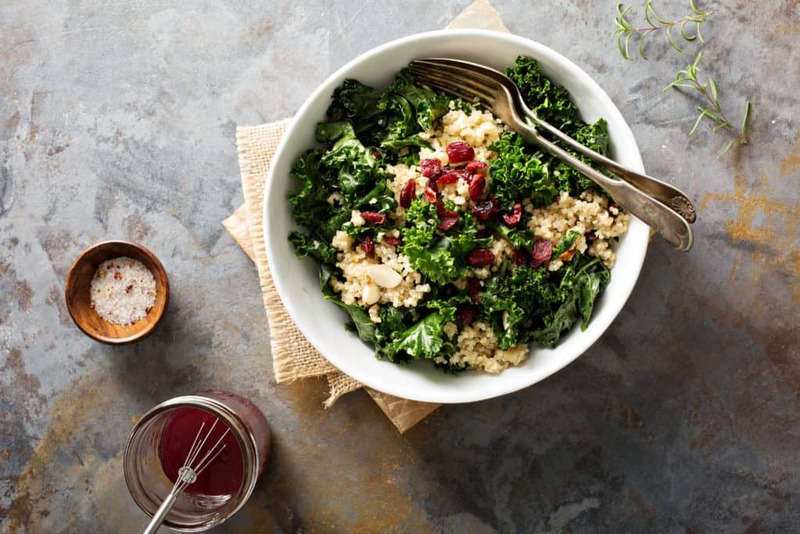 A cup of raw kale contains 206% of your RDI for vitamin A and 684% RDI for vitamin K. But you need to eat kale in ways that help absorb these nutrients; team it with vitamin C-rich foods and healthy oil to make them more bioavailable. You will see many types of kale at your market: green and purple, smooth and curly leafed. The most common is Scots kale with green, curly leaves and a fibrous stem. Use it to make baked kale chips, which are excellent sources of fiber: How to Make Movie-Worthy Kale Chips. Or it can also be “hidden” in Green Smoothie Recipes. Harvest season: August to February. Even though they are sweeter and juicier than apples, pears are very low-calorie, having only 58 calories/100 grams. Perhaps the best-known varieties grown in Canada and the US are Anjou, Bartlett, and Bosc, but Comice and Seckel are also fall-season staples. Pears, like apples, are packed with phytochemicals and antioxidants. Like apples, their fiber may reduce body weight, colon cancer risks, and LDL cholesterol. Pears offer vitamin C as do most fruits, but they’re also a good source of minerals including iron, manganese, magnesium, and zinc. Zinc is an important immune booster to help reduce seasonal allergy symptoms. Pears are also among the least allergenic of all fruits so are recommended as a safe standby for food preparation. And they’re used in traditional medicine to treat digestive disorders like colitis and an inflamed gallbladder. Perfect Pairing Pear Salad: Any pear is a perfect partner when sliced finely into salad greens such as arugula and spinach with grated/crumbled sharp cheese (Parmesan, Gorgonzola, Romano) and halved toasted hazelnuts. A simple vinaigrette is all the dressing that’s required. Harvest season: August to December. The slightly tart little bursts of flavor also pack a seriously big punch for their health benefits. Research shows that pomegranates can help prevent high blood pressure, premature aging, inflammation, and effects from carcinogens that may cause cancer (especially prostate cancer). They have three times more antioxidants than red wine or green tea. They’re also thought to be aphrodisiacs, and may, indeed, increase testosterone levels. One pomegranate can hold over 600 “arils,” juicy seed pods, and the seeds’ healthy oil is also used both internally and externally. Try pomegranate in a recipe with warm spiced pears! Pomegranate Pears: Cut 3 pears into wedges and add 2 tbsp maple syrup, dashes of nutmeg and cinnamon. Heat in a saucepan until boiling, then reduce heat for 10 minutes, stirring occasionally. Cool, and add the seeds of a whole pomegranate. Harvest season: October to February. If only we ate a cup of cooked pumpkin every day! We would receive all of our needs for vitamin A, one-quarter of our vitamin C requirements, a good portion of our vitamin E and B, and a dose of much-needed potassium, copper, manganese, and iron. You’ve probably used pureed pumpkin as a low-fat replacement for oil in baking recipes, but perhaps you didn’t know you were also staving off diabetes and heart disease, building your bones, and beautifying your complexion! Part of its potency is due to pumpkin’s powerful beta-carotene – an antioxidant that gives orange vegetables their color. When buying them whole from a market, consider drying the pumpkin’s seeds after scooping them out instead of tossing them. Pumpkin seeds’ minerals (phosphorus, magnesium, manganese, copper zinc, iron), omega 3 and 6 fats, and protein are well worth saving. Harvest season: September to February. Names like butternut, banana, acorn, turban, delicata and Hubbard don’t immediately sound like fruits, but squash is technically a fruit. Steamed with butter and salt or baked and stuffed (leaving the skin intact is best), squash offers a colorful and healthy side dish or main event. Squash offers 457% of your daily needs for vitamin A (per cup, cooked), more than pumpkin and maybe more than any other vegetable. Vitamin A is a powerful antioxidant that aids eyesight, strengthens the immune system, prevents cancer, helps reduce inflammation, and protects the heart. Vitamin A, which works with vitamin D to build strong bones, is also a key to a “tolerant” immune system. This means the body’s antigens that normally cause allergy symptoms are more tolerant so won’t react adversely. Try squash drizzled with honey, cinnamon, and toasted walnuts or stuffed with lentils, sundried tomatoes, artichoke hearts and Parmesan cheese. 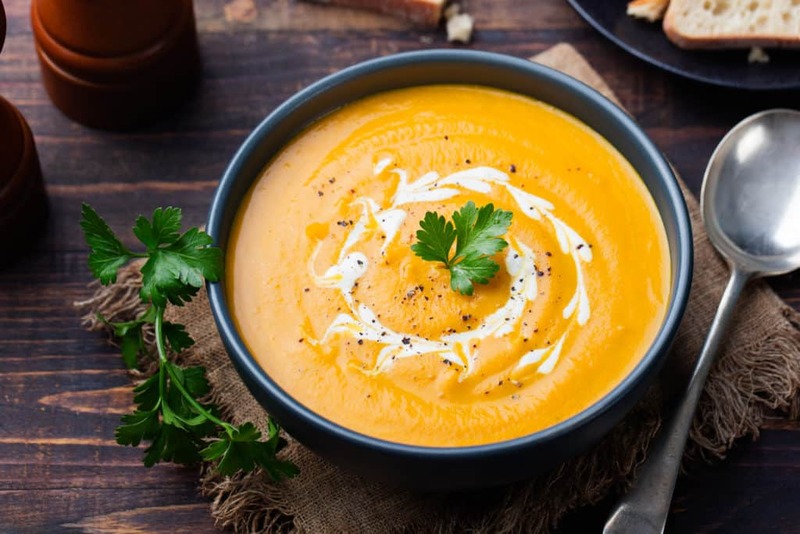 Or check out our tried and true Butternut Squash Soup Recipe. Whether you’ve fallen for sweet potato fries or sweet potato pie, it’s hard to believe that these decadent tubers are so good for you! They offer many of the nutrients that squash does, like vitamins A, B, and C, but with even more fiber, and also minerals like bone-building calcium, iron, magnesium, and phosphorus. Every bite boosts your heart: its vitamin B6 helps reduce homocysteine that contributes to hardening of the arteries; the fiber maintains your digestive tract that’s linked to heart health; its potassium helps regulate heartbeat; its beta-carotene is well researched for reducing heart disease. As sweet as they are, sweet potatoes have a low glycemic index (releasing sugar slowly into the bloodstream). So they won’t spike blood sugar, good for type 2 diabetics. Different colored sweet potatoes vary in nutrients: orange ones contain significant vitamin C (half of your daily needs) and more vitamin A; purple ones are packed with the inflammation-buster called anthocyanin. Just try it our Purple Sweet Potato Hummus! Choose Carefully. Always be aware of your senses when selecting produce. How does it feel, smell or look? If kale and brussels sprouts are not bold, bright green, and are even turning yellow, take it as a sign that nutrients are declining. Make sure sweet potatoes and squash have smooth skin without dark or soft areas that can mean spoilage. When selecting squash and pumpkins, choose ones that are heavier, which usually indicates more flesh. Pick bright, firmly textured pears and apples to provide the freshest flavor, and avoid those with surface pressure marks that indicate underlying mottled pulp. Eat Fruit Immediately. 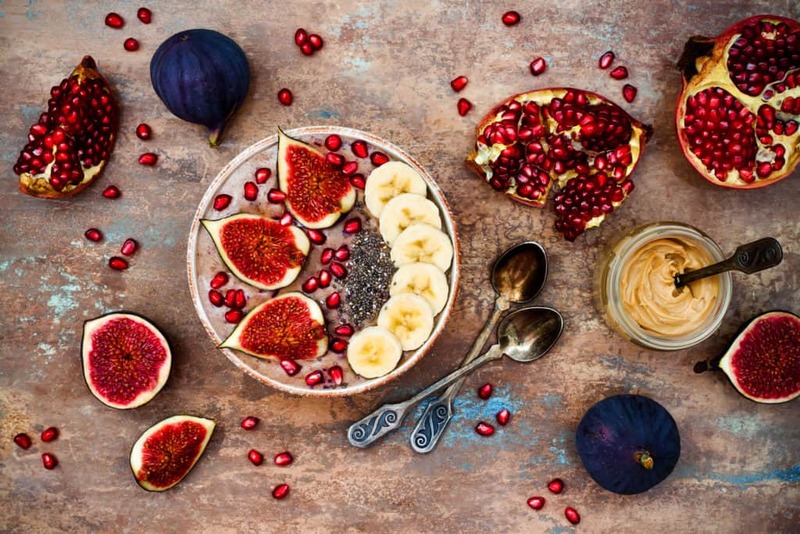 Eat fruit within a few days to get maximum nutrient benefits. Some of these fall foods can be stored in cool environments over winter but check with a food storage expert /gardening almanac for more information. Wash Thoroughly. Make sure to wash all fruits and vegetables. Preferable, in cold water before use to remove surface dirt and pesticide/herbicide residues (the friction of hands with water is usually enough without special produce soap). For a more in-depth guide read our post on How to Wash Your Fruits and Veggies Properly. Since vitamins and minerals are concentrated in significant quantities just underneath the skin, soft peel fruits including pears, apples, tomatoes and vegetables like sweet potatoes and carrots should be eaten whole with skin to get maximum benefits. Fully savor the fresh flavors, robust textures and aromas available during fall harvest. Unfortunately, the season doesn’t last forever! Load your bag with the top fall foods: apples, brussels sprouts, cauliflower, dates, kale, pears, pomegranate, pumpkin, squash, and sweet potatoes. Always eat the peel of soft-skinned fruits and veggies to get the most nutrients. And choose organic produce whenever possible! Keep disease-fighting antioxidants and phytochemicals like quercetin, flavonoids, and polyphenols back of mind when buying. Consider the dozens of vitamins and minerals that your body needs every single day, and how you are going to get them. When choosing fruits and veggies, add a rainbow of color to your cart – green, purple, orange, red, yellow – because the different colors signal different nutrients. Did we miss your favorite fall food? What recipe do you pull out every time the leaves begin to turn color? Let us know in the comments below! Terrific article! I really appreciated all of this good information and the recipes.